Call 561-819-4339 to schedule your first appointment. Hearing loss doesn’t have to mean missing out on precious moments. With Miracle-Ear® hearing aids in Jupiter, FL, you will experience clearer hearing that keeps you in the conversation with family and friends. Visit our center for your free hearing test today. Our Hearing Care Specialists are ready to help you find the right fit for your personal needs. With over 1,300 locations nationwide, Miracle-Ear® is America’s most recognized brand of hearing aids. Enhance your enjoyment of life by starting your risk-free, 30-day trial today. Discover and experience the Miracle-Ear® advantage, proudly featuring our renowned GENIUS™ Technology. With GENIUS™ 3.0, our hearing aids offer even better sound clarity than before. Superior noise reduction, feedback cancelation, and tinnitus control distinguish our products as remarkably effective aids to personal wellness. Additionally, our technology not only keeps you connected to your loved ones, but with Bluetooth connectivity, our products give you convenient access to your smartphone and other devices. Our hearing aids are available in a variety of styles to suit your particular needs and preferences. We offer custom-fit hearing aids, receiver-in-canal (RIC) models, behind-the-ear (BTE) options, and many others. As a Miracle-Ear customer, you receive ongoing care and support at any of our locations. Our Hearing Care Specialists are committed to keeping your hearing aid working its best. Besides giving you a free, annual checkup, we also test your hearing aid’s parts and components, clean it, check for comfort and proper functioning, and more. Find out how our hearing solutions can improve your day-to-day routine by visiting us today. Contact us to receive your free hearing test and to start your risk-free, 30-day trial. Our hearing center proudly serves customers from the Jupiter, Florida, area. 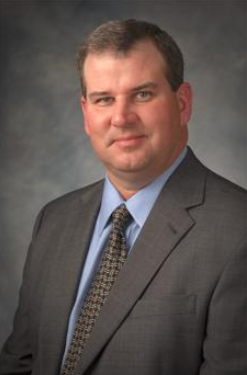 Derek Hurd is your local Licensed Hearing Aid Professional in Jupiter. 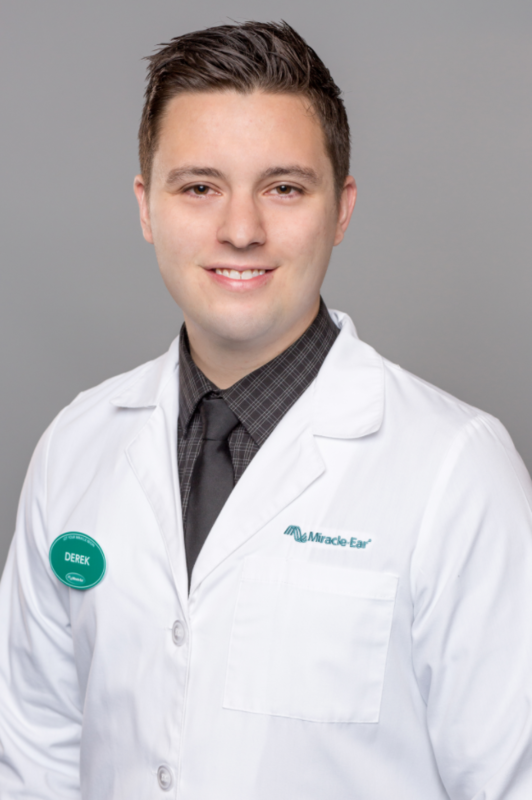 Derek is licensed as a Hearing Aid Specialist by the Florida Licensing Board within the Florida Department of Health. In addition, he has been through extensive training with Miracle-Ear and has received his Miracle-Ear Professional Certification. Derek has also been trained in Live Speech Mapping, Real Ear Measurement, deep canal impressions, and is proficient with all Audiometric equipment to service your needs. Derek is passionate about making a difference in the quality of life of the hearing impaired. In addition, Taylor Cox is the Office Manager for Miracle-Ear in Jupiter. Taylor is fully trained and completely certified by Miracle-Ear as a Professional Assistant. Working as a team, Derek and Taylor are here to service all of your hearing needs at Miracle-Ear in Jupiter.